Dish TV Launched Mera Apna Pack Now Choose Your Pack at Rs 8.5 per dish channels. 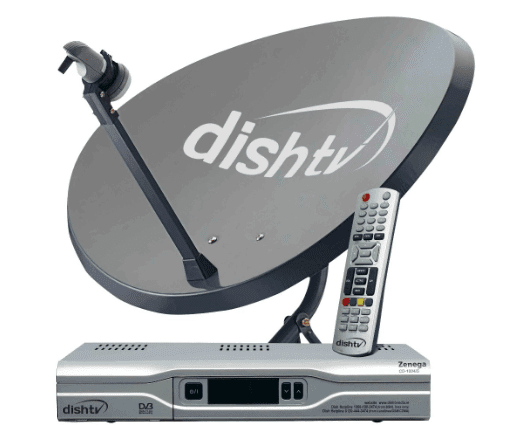 Now Dish TV allows you to choose a channel to Rs 8.5 per dish channels. Although the Indian Telecommunications Regulatory Authority (TRAI) new tariff order is being challenged in court, the operator of DTH Dish TV has proceeded with a price of Rs 8.5 per dish channels. According to Dish TV, the new price partly adopts TRAI's new tariff order, which is in "litigation for vested interests." Subscribers will have to take the basic service pack. You can then opt for the popular channels by only paying Rs 8.5 per channel. Customers can also choose popular "High Definition" channels priced at RS 17 per channel. Calling it "Mera Apna Pack," Dish TV has said that the new price reflects the "true spirit of value, affordability, accessibility and customer capability with freedom of choice." The entertainment bonanza is for your valued customers. The 'Mera Apna Pack' initiative offers subscribers the maximum flexibility of channel selection to prepare the most suitable package according to dish tv website. "We are delighted to announce the 'Mera Apna Pack' initiative to our esteemed customers and allow them to exercise freedom of choice by viewing their favourite television content." Freedom of Choice "has been Demand for many decades, this initiative will really allow consumers to choose between the channel and pay only the channels they would like to see. This will also be in tune with TRAI's new pricing regulations, an attempt to make dish channels are flexible but affordable." For more details visit dish tv website www.dishtv.in.